It’s no secret that the hobbyist lifestyle of PC gaming and enthusiasm for tech can be quite expensive. Where most will claim to upgrade their gaming PCs each and every year, the majority of such upgrades actually consist of cheaper peripherals, styling and storage options. Only a sub-set of people really do switch out their graphics cards as the PC Master Race will claim. Most of them, here’s a shocker – most of them work in this industry. Mind. Blown. For most people, especially those new to PC gaming, minor continuous upgrades are the way things go. Whether that be a new chassis, storage drive, mouse or keyboard, the chances of someone upgrading their CPU on a yearly basis would seem like a complete waste of time. Congrats, you scored 4 points higher in Cinebench, post it on Twitter, and see no difference in real-world gaming. In a world of RGB keyboards, LED strip chassis, RGB motherboards and more RGB – because everything is RGB, making upgrade decisions based on the styling of a system is actually more common than to that of its performance. Much cheaper too. So what options are out there for those looking to add a sense of mystic and glam? In this article I’ll be guiding you on the cheapest and most impactful upgrades you could make for the appearance of your system. Those which will make it stand out amongst the crowd. Probably the most eye-catching modification one could ever make to their PC, RGB strips can add a sense of life to a windowed chassis – features that would otherwise be available on a more expensive system. Where LED ad RGB strips differ from one another resides in the implementation of lighting. To put it simply, LED is a single solid colour, while RGB allows for colour changing through the use of an external switch or software. 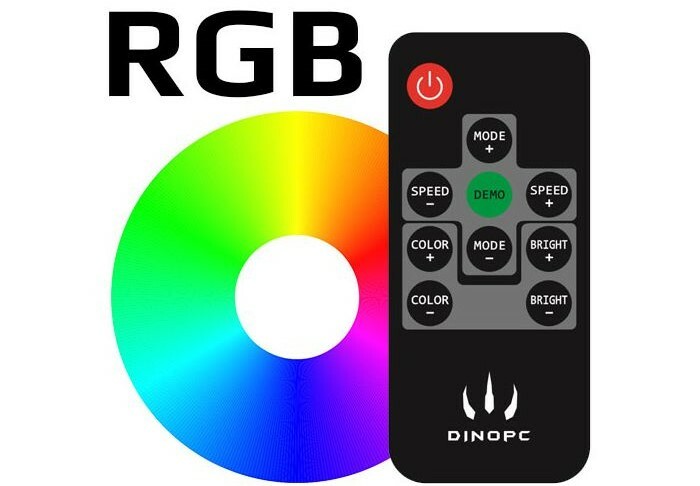 Some RGB strips allow for universal control alongside the other components in the system. Those such as graphics cards, motherboards and fans which feature support for the same software can all be run on a synchronized or pattern-switching basis for additional styling. Usually available in 15cm and 30cm measurements, these strips come pre-fitted with backing tape of magnets so that they may be positioned anywhere inside the chassis – connected via the means of a fan header. 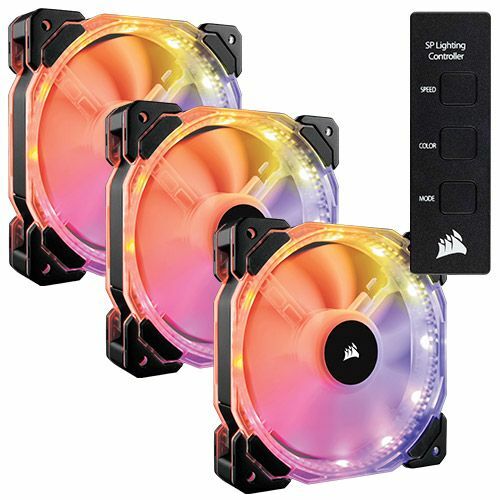 Functioning in a similar way to RGB strips, RGB fans offer the same feature-set with the additional enhancements offered by cooling performance. While those of the cheaper variety can often lead to issues such as blinking lights and a shorter lifespan of its lights, those developed by top leading brands such as Corsair and Cooler Master are highly reliable. Along with support for radiators and compatibility with brand-matching chassis, RGB fans invalidate the need for RGB strips should you be in the market for both fans and lighting. Best to opt for those which offer improved levels of silence, this will allow the brightness of the RGB lighting to remain at full, as opposed to those which scale on a basis of available power. While it’s highly recommended to use fans which offer a great balance between performance and silence, there are some out there which favour one over the other. For those of the silent variety, more power is required through the means of manual tweaking within the bios or operating system, in order to increase the amount of airflow which the fan can provide. Performance-focused fans may emphasize airflow over silence, perfect for those with a silence-optimized chassis. This is where fan controllers come in. Giving the user the choice to switch between the two, tweaking as desired for personal preferences – fan controllers also provide a plethora of options in regards to software and visual design. Commonly allowing two to eight fans to be controlled via the means of connected fan headers, these controllers install to the 5.2″ bay at the front of the chassis, often featuring a built-in display for temperature readings and RPM settings. This means users can control each fan independently of one another, with each fan installed to the chosen location of the chassis. For those with different brands and types of fans, fan controllers give way for an efficient manner of balancing the airflow and noise-level of the system, as control is designated to physical knobs or dials without the need for software dependency. 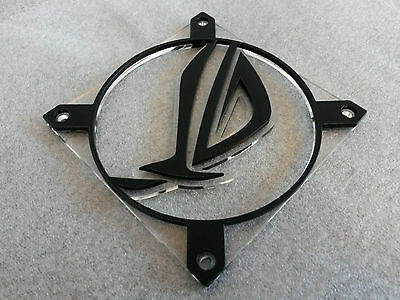 One of the most overlooked if not underrated of all PC styling upgrades, fan grills can be easily attained in both custom and pre-designed choices, allowing for great styling of radiators and fans. Along with new iterations featuring RGB lighting to match the numerous components following the brightly lit footsteps of today’s trend, fan grills can add a sense of personality and a feeling of premium components which truly express personal styling. Available in a range of materials such as plastic and acrylic as well as varieties of metal, fan grills are easy to use and have great visual feedback. Serving as a means for both function and styling, braided cables not only assist with cable management they can also help transform a standard looking system from something less conservative to a machine that’s classy, neat and full of attitude. Adding a level of flare and tidiness thanks to each individual cable being wrapped in a soft-weave, braided cables allow for mix and match colour patterns as well as extending the length of pre-fitted cables for those areas which are harder to reach. 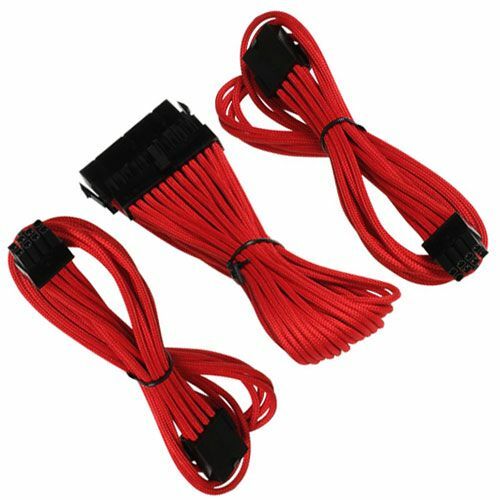 Along with custom lighting and styling components for a unique sense of personality and appeal, braided cables can be detached and switched out on a regular basis for those who like to change the look of their system on more frequently. Commonly available through the purchase of a motherboard or graphics card, decals and badges are great for showing brand preference and creating a system which features matching components. Throughout a great number of online stores, badges and decals can be bought for case specific fittings as well as those being custom-printed. For those looking for a specific brand decal for styling their side-panel windows, front-panel chassis or even on graphics cards, badges prove great as they consist of both style and build quality. For those seeking a custom design, there are many options available from modders and professional printers alike – particularly in the form of a vinyl. These are perfect for building a unique system and can also be available as part of a boutique system such as those at Dino PC. Spray painting may not be for everyone. Having to undergo an extensive process of sanding and smoothing out rough surfaces, in addition to waiting hours in-between the many layers of coats for a premium finish – it’s easy to see why most would rather avoid this entirely – opting for a different colour scheme all together. Plasti Dip makes things incredibly simple. Allowing users to spray directly onto the panels of their chassis with little to no effort involved – nor the extensive waiting time required for the drying of paints. 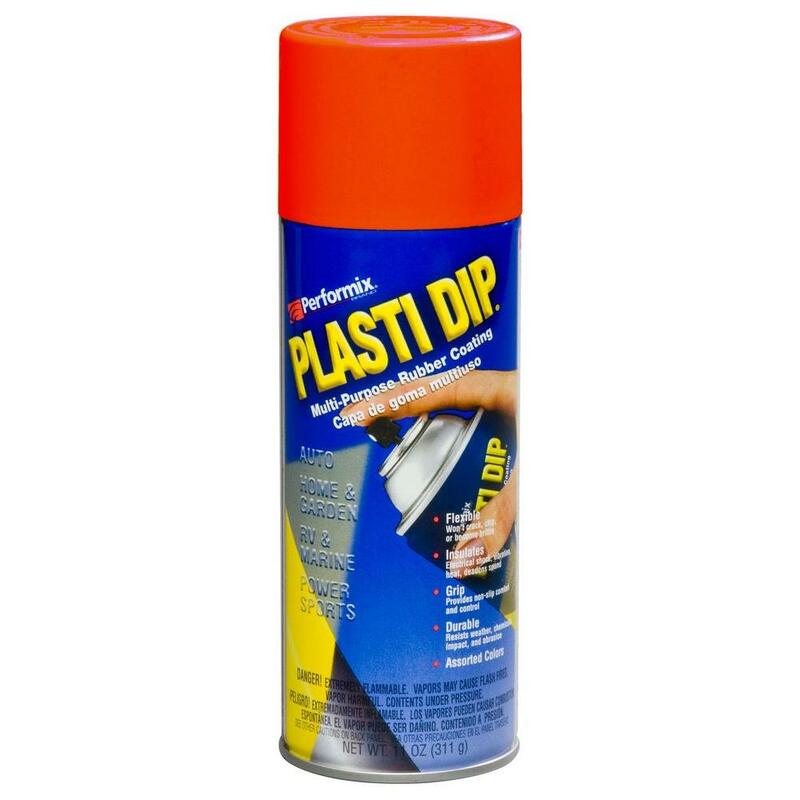 As Plasti Dip can be peeled off and replaced when the user sees fit, little aftercare is required when looking to apply a new coat of paint. Styling your system doesn’t have to be an expensive procedure, as proved by this guide. While the idea of yearly upgrades may sound find, it’s impractical and for the most part pointless if we’re talking performance. Visual preferences however, well this can be an on-going process – one that’s enjoyable and cheap to do, allowing gamers to create a system that’s truly incredible – unlike anything that’s available elsewhere. 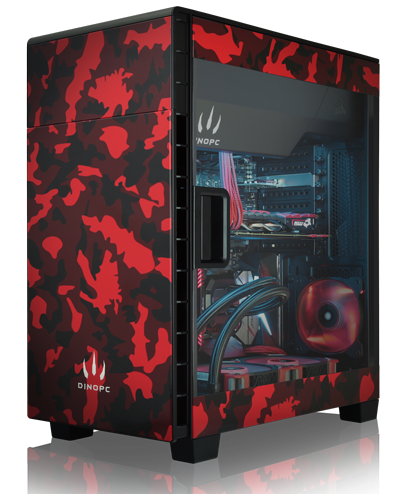 Check out our full range of custom systems at Dino PC.